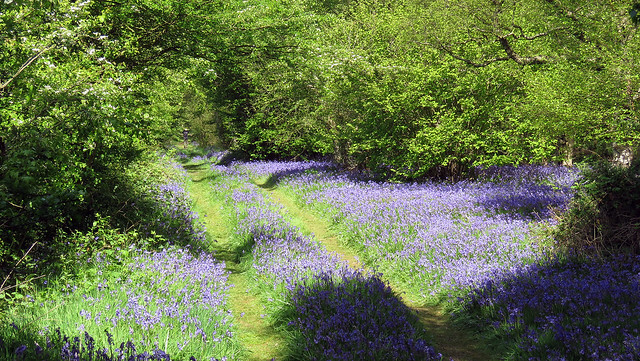 Sunny morning with a moderate north-easterly breeze blowing, temperatures around 12 degrees.The spectacular display of Bluebell Hyacinthoides non-scripta is at its best at the moment, always a nice sight to greet the eye on an early May day. 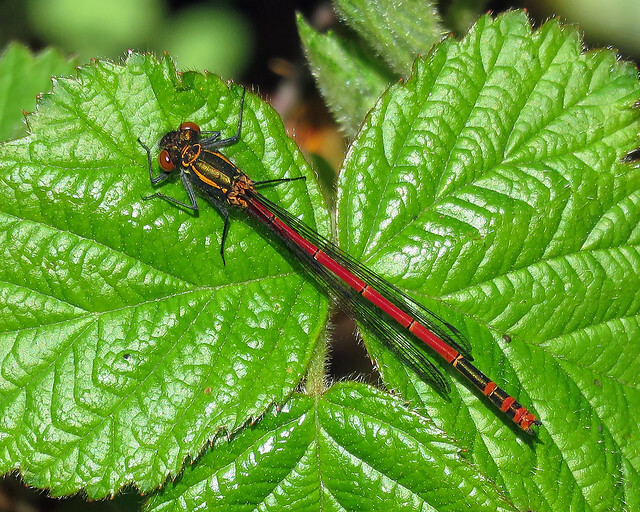 Checked out the heathland pond for any signs of dragonfly activity, nothing found there, though did eventually find a male Large Red Damselfly Pyrrhosoma nymphula in the south-east corner of the heathland. 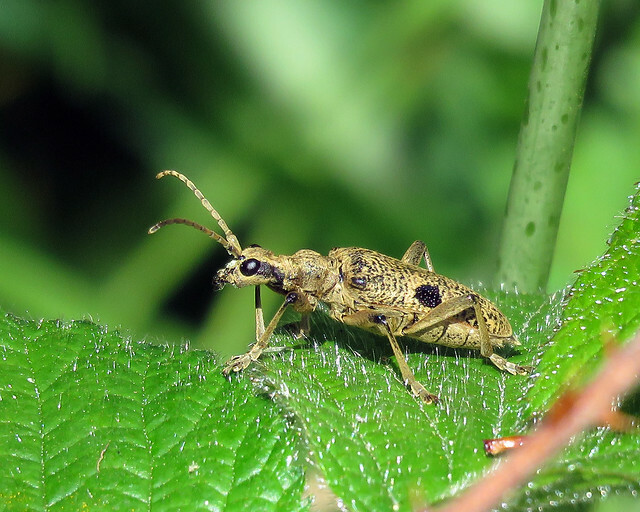 The first Longhorn Beetle of the year wasn’t the one I would have predicted, Rhagium mordax being found along the western path. 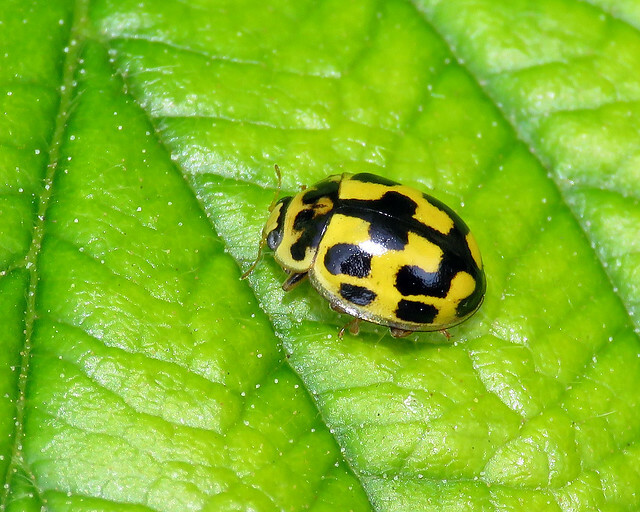 Only seen this species once before back in 2012, at the same location. 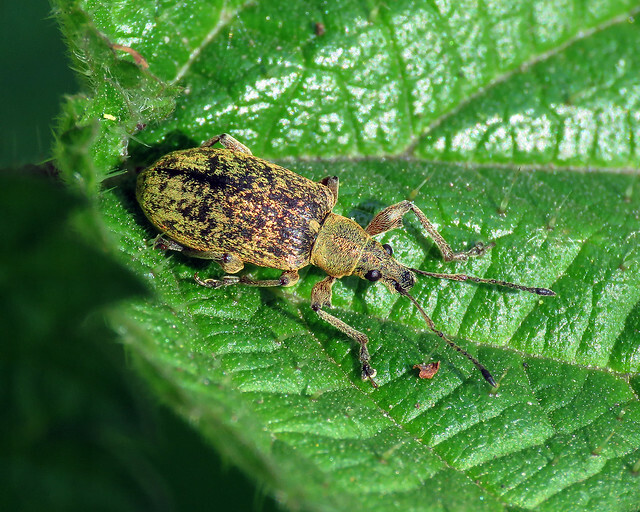 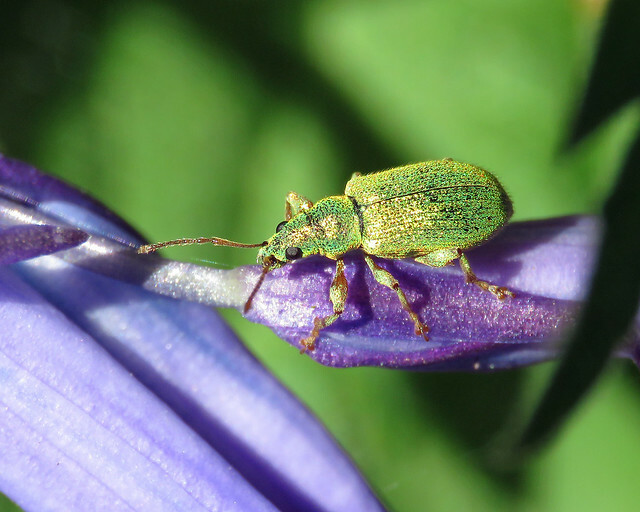 Other beetles noted included Silver-Green Leaf Weevil Phyllobius argentatus along with the similar, though more abundant Green Nettle Weevil Phyllobius pomaceus. 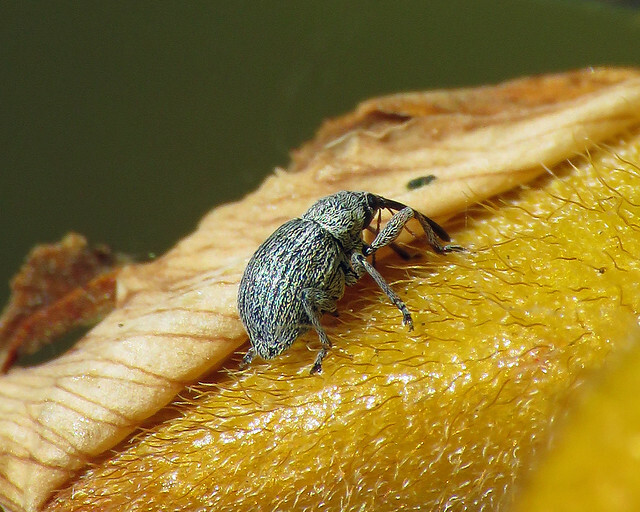 Other Weevils included a few Gorse Weevil Exapion ulicis, always difficult to photograph as they are only 3mm in size, so quite pleased with the shot shown below. 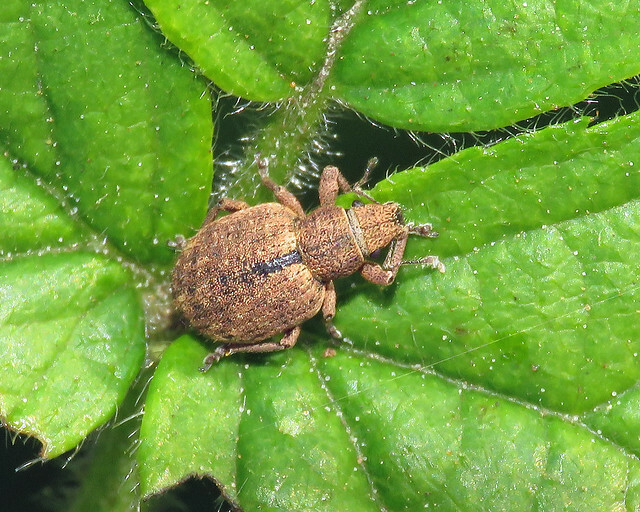 Nut Leaf Weevil Strophosoma melanogrammum was another species that I’ve previously only encountered at this site. 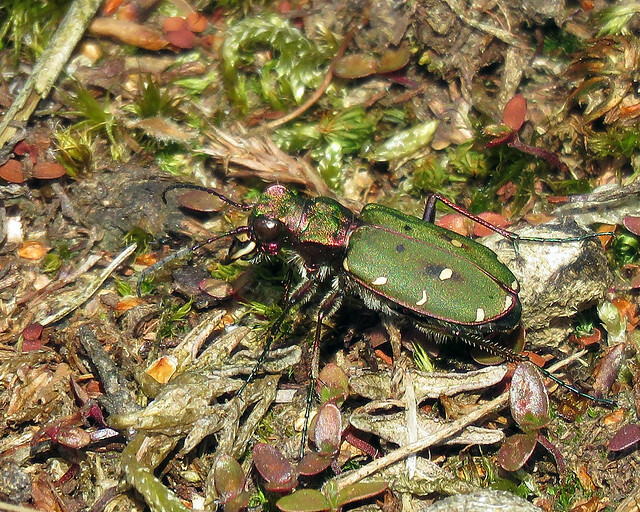 Several Green Tiger Beetle Cicindela campestris were on the heathland, always a difficult species to get close to, telephoto lens having to suffice on this occasion. 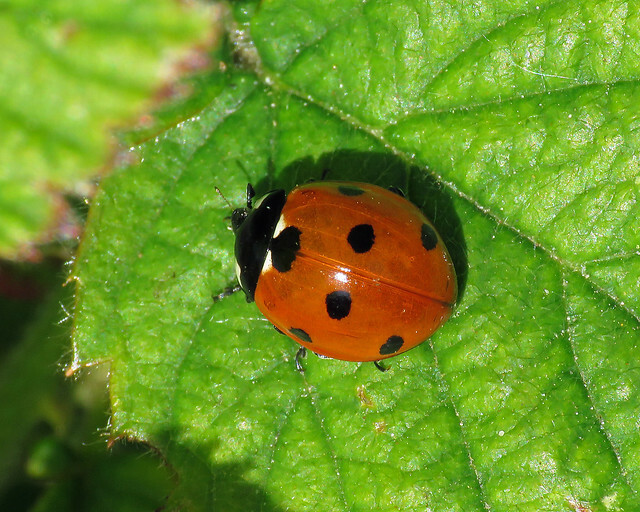 Finally 7-spot Ladybird Coccinella septempunctata and 14-spot Ladybird Propylea quattuordecimpunctata representing this family of beetles. 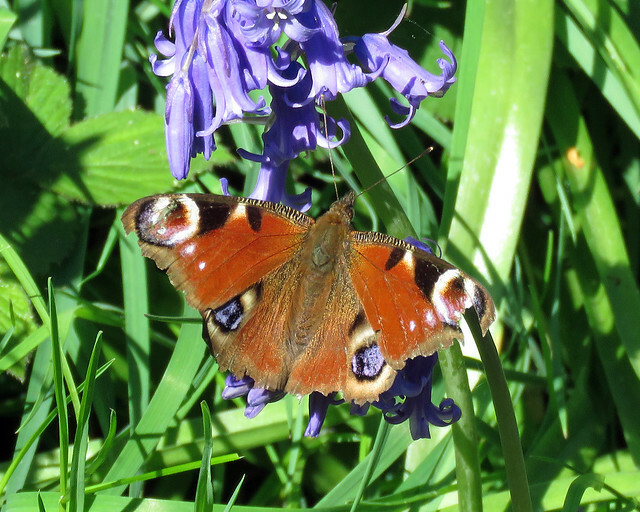 Several butterflies noted including Brimstone, Green-veined White, Orange-tip and Peacock. 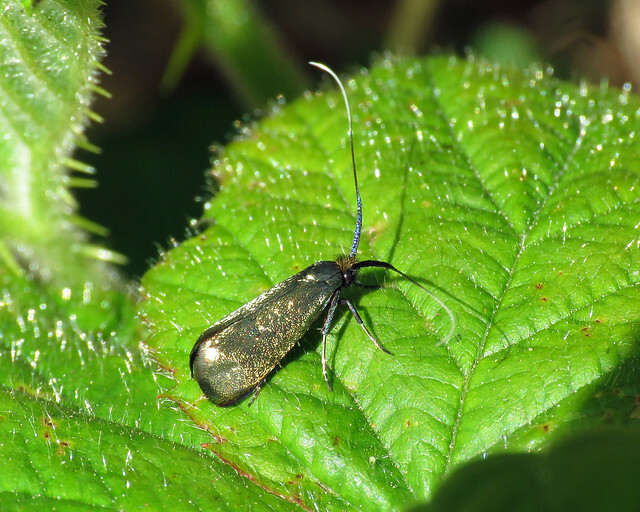 In addition several Green-longhorn Adela reaumurella moths were present around the Gorse. 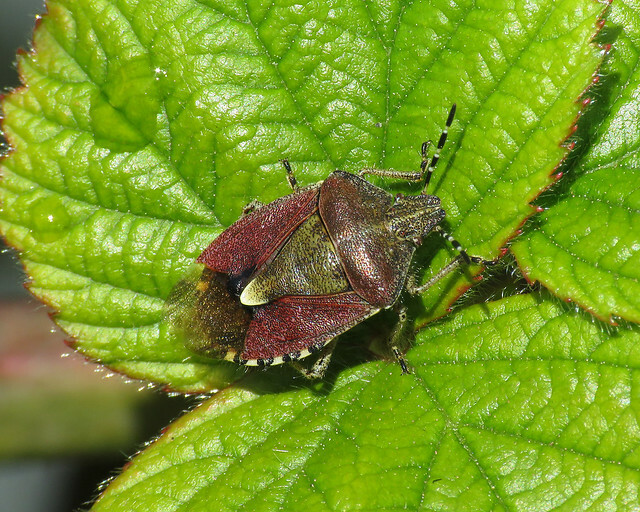 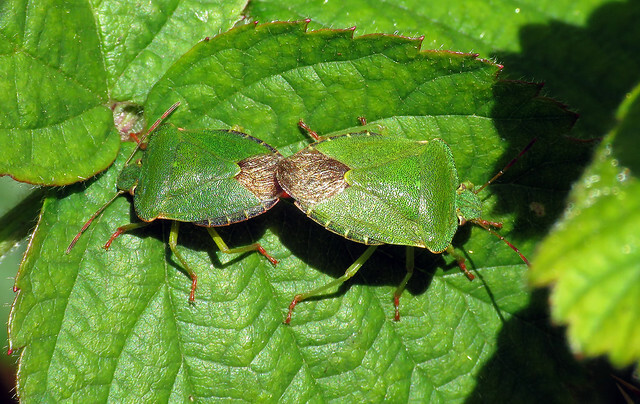 A couple of Shieldbugs found in the south-east corner of the heath, Hairy Shieldbug Dolycoris baccarum being one of my favourites, along with a few Common Green Shieldbug Palomena prasina including a mating pair. 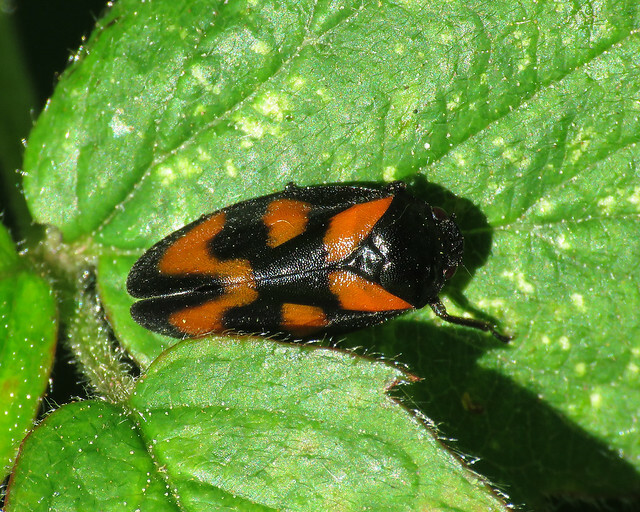 Several Cercopis vulnerata were out along the western path. 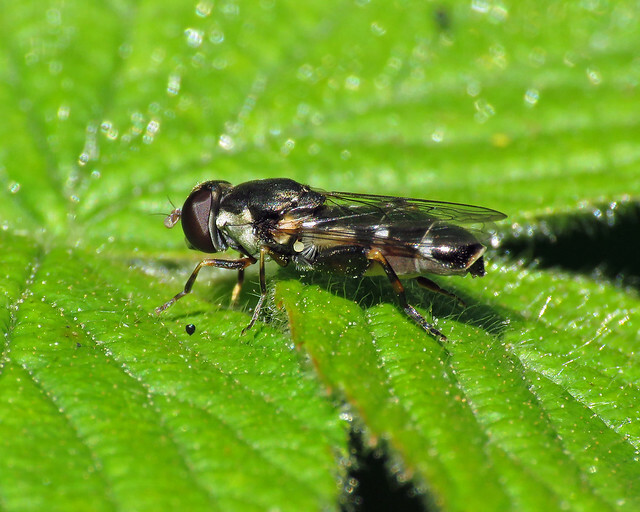 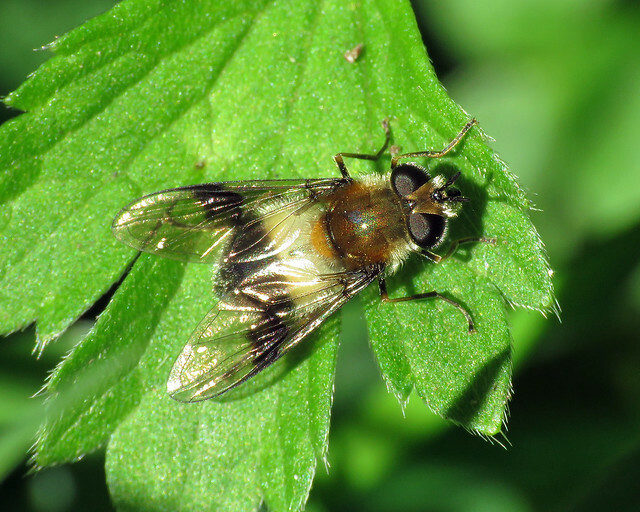 A few hoverflies included my first for the year Syritta pipiens along the western path. 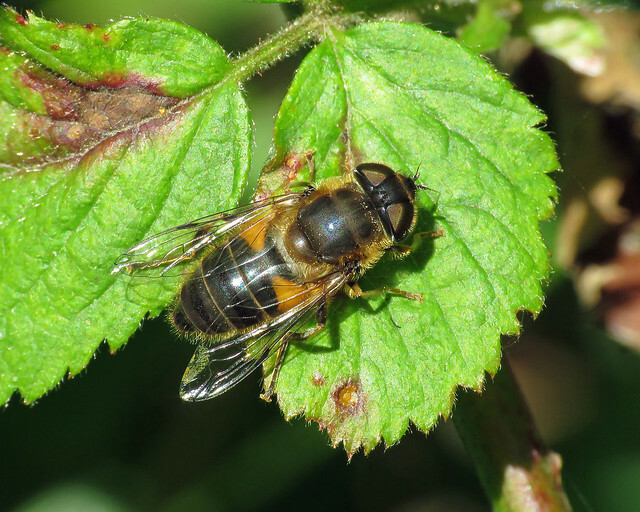 Others recorded here included Rhingia campestris, Leucozona lucorum and Eristalis pertinax. 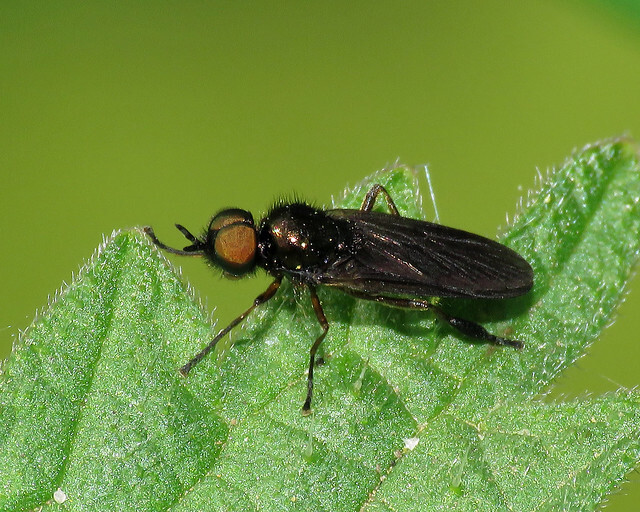 First soldier fly of the year was Murky-legged Black Legionnaire Beris chalybata. 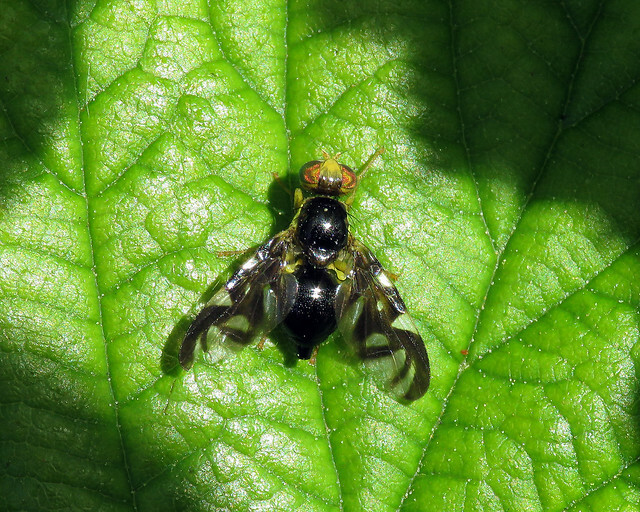 Finally a Euleia heraclei was in the south-east corner of the heathland. 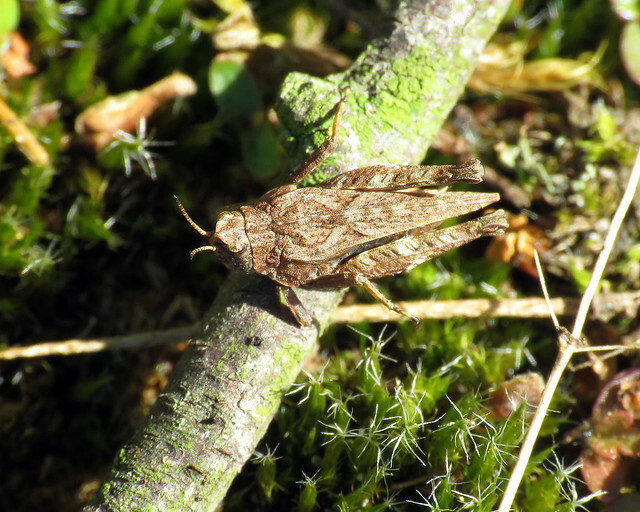 Other miscellany included the regular Common Groundhopper Tetrix undulata, easily found along the mossy edges of the heathland footpath, just watch out for anything that jumps as you walk along the path. 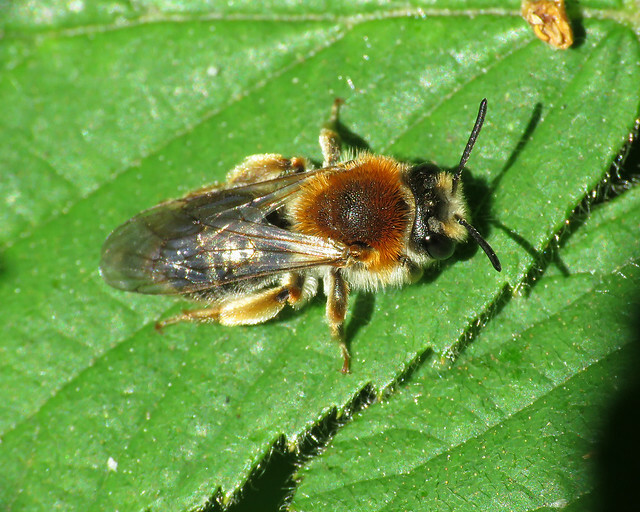 A single Early Mining Bee Andrena haemorrhoa was along the western path.